Burnley earnt themselves an emphatic win after rolling over Wolves in a 2-0 victory at Turf Moor. In terms of results, none will feel as significant as this emphatic win for the Burnley faithful after pulling five points clear of the drop with a tactical masterclass from Sean Dyche in his 300th match in charge. It was the hosts first win in five after a Connor Coady own goal and a fine individual strike from Dwight McNeil gifted the Lancashire strugglers with their first three points since February. “It’s like a crystal ball moment”, Dyche stated in his decision to leave McNeil on the pitch anticipating that the English prospect would have one final say on a perfect week for the 19-year-old. 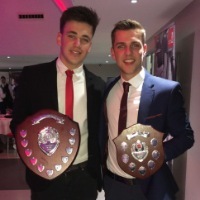 Following two U20 appearances for his country against Portugal and Poland, McNeil was rewarded with an invitation from Gareth Southgate to the senior squad training before firing the all-important goal in front of his home supporters days after. "He's one of our own, he's one of our own" sang the jubilant home fans who were fully aware of the magnitude of McNeil's second strike in successive matches. Burnley had never beaten Wolves in the Premier League era before today but rallied together with dogged pragmatism to condemn the visitors to only their second defeat in nine matches. It was also only the second time in 13 games that Wolves failed to score in a hugely disappointing afternoon for the supporters from the Black Country. It was a chance squandered to move four points clear of Watford in seventh with the Hornets losing at Old Trafford. Leicester City's 2-0 victory against AFC Bournemouth means Nuno Espirito Santos' side only remain in that vital European spot courtesy of their superior goal difference. Dyche began his Burnley reign with a 2-0 win over Wolves in 2012 and cooked up an almost identical remedy 300 matches and seven years later. The result proved even more crucial with Southampton winning away to Brighton and Cardiff City still with two games in hand on the team in claret and blue. Dyche ahead of his 300th managerial match in charge of Burnley reiterated in his pre-match comments that the Clarets still have their relegation faith in their own hands despite being 19 points of their points tally at the same stage last season. Wolves meanwhile, despite having a first FA Cup final in 21 years couldn't afford to be looking too far ahead to their Wembley bout next Sunday considering the visitors have two league matches in their wake before a trip to the capital. The hosts made one change from their defeat to Leicester City at Turf Moor a fortnight ago with Jeff Hendrick coming in for Johann Berg Gudmundsson. 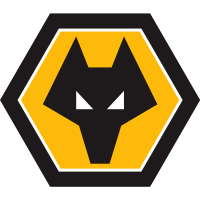 Wolves made four changes to the team that triumphed over Manchester United in the FA Cup with Raul Jimenez the most notable absentee after returning late from international duty. Burnley's next three fixtures could have been make or break with Wolves, Bournemouth and relegation rivals Cardiff all next in store for Dyche's team and considering their final four matches of the season are against Chelsea, Manchester City, Everton and Arsenal, the need for immediate points became extraordinarily vital. His team answered the call to sumptuous effect taking the game to Wolves from the opening seconds and their efforts were rewarded with their quickest goal of the season. The first half was cagey, to say the least with no shots on target despite the hosts leading at the break. Burnley made the perfect start to proceedings after McNeil's cleverly orchestrated quick free-kick caught the visitors napping and Chris Wood was lurking to cooly control before taking the ball around the returning Rui Patricio and hitting the post only for Connor Coady to rebound the ball into his own net. The Wolves captain has been regularly tipped as someone deserving of an England call-up having played every minute of Wolves' Premier League and FA Cup campaign. However, Coady's misfortune proved to be the former Liverpool man's third own goal of the league season placing him one behind of the record tally in a single campaign currently held by Lewis Dunk and Martin Skrtel - both with four. Wolves were lacking that clinical impetus that comes with the partnership of Jiminez and Diogo Jota with the Portuguese forward looked overly exposed operating as the visitors attacking focal point. Adama Traore attempted to cause havoc on the right-hand side at the expense of Matt Doherty and on two occasions his electrifying pace saw him breeze past Charlie Taylor but his delivery went unpunished with the visitors failing to capitalise on the counter-attack. Wolves remained unremitting and continued to utilise Traore to effect with the winger bombing past players on countless occasions. One particular dart towards the box allowed Traore to find Jota who curled a shot just past the post. The visitors continued to infiltrate Burnley lines and Leander Dendoncker slipped past Ben Mee before his cut-back found Ivan Cavaleiro who fired excruciatingly over the bar. Nuno finally introduced his seasoned regulars Jimenez and Doherty for Cavaleiro and Dendoncker in an attempt to help to isolated Jota whilst offering their main threat Traore more space in a more advanced attacking role. Jota slipped behind Jimenez whilst Traore joined the forward duo in a 3-4-3 formation. 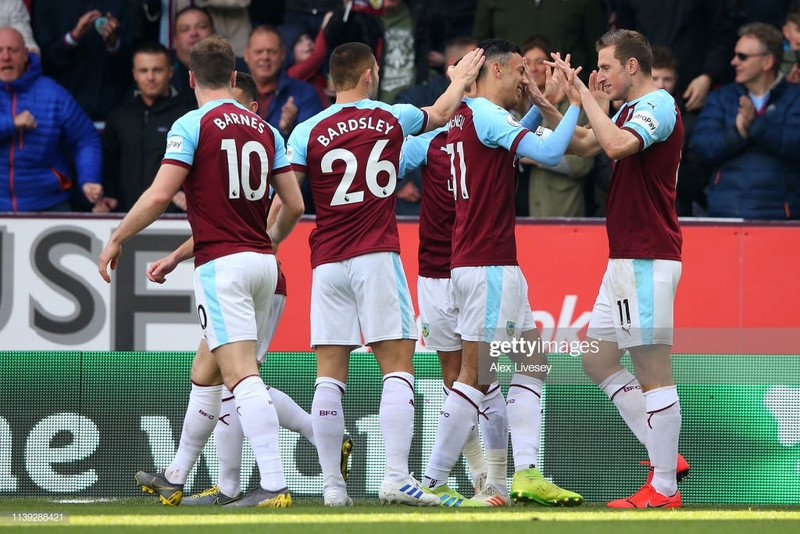 Burnley continued to remain resilient with two firm challenges from Mee typifying the host's desire to pull away from the drop. Wolves' first shot on target came after 70 minutes when Moutinho's cross met the head of Jonny who stroked the ball straight into the palms of Tom Heaton. The visitor's 20 minutes of dominance was finally extinguished with 13 minutes to play after Burnley's man of the hour McNeil cooked up one final hammer blow to Wolves with a strike worthy of settling any match. The Rochdale born midfielder picked the ball up 35 yards from goal driving at Saiss toying with the Wolves defender going on his right then cutting back on his left before letting loose a shot that arrowed into the bottom corner and sent Turf Moor into raptures. The England U20's international left the field to a standing ovation following yet another breathtaking performance before hugging his manager who has shown so much faith and belief in the youngsters undeniable talent. It may have been an emphatic win for the hosts but the hard graft begins now. 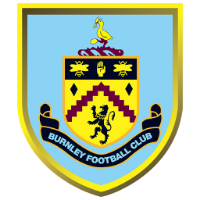 The fight is very much in Burnley's hands despite still Cardiff having two games in hand on their relegation rivals. Upcoming matches against Bournemouth and Cardiff are all the more important considering three of the top-six await in the Claret's final six matches of the season. Wolves' cup euphoria were quickly destroyed following their triumph over Man United two weeks ago and with the clubs first FA Cup semi-final since 1998 only a week away, the visitors wouldn't be tarnished for having their sights set on Wembley. Four changes from their cup antics saw an unsettled and uninspired Wolves team only able to manage one shot on target. It was the club's second defeat in nine matches as Wolves slipped up against another outfit in the bottom four with Burnley joining Huddersfiled in getting the better of Nuno's team.